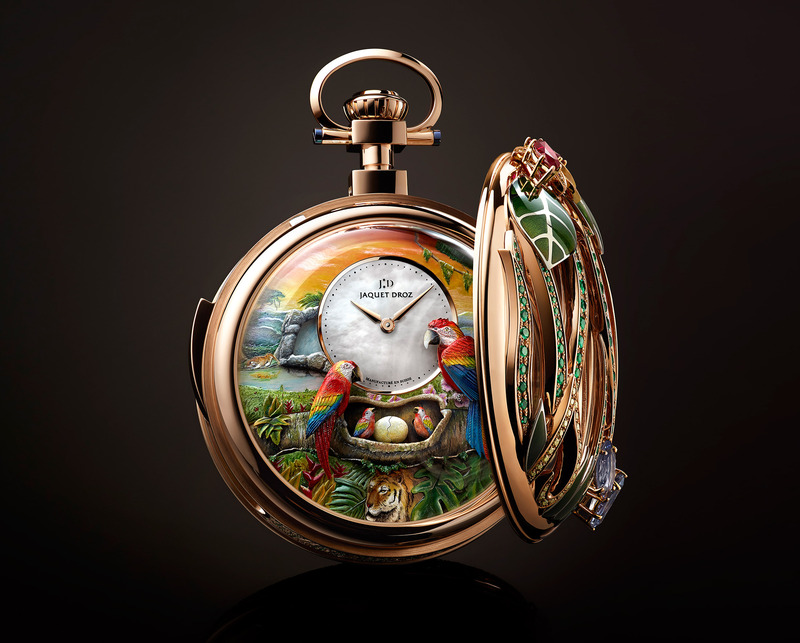 Jaquet Droz and the art of time. 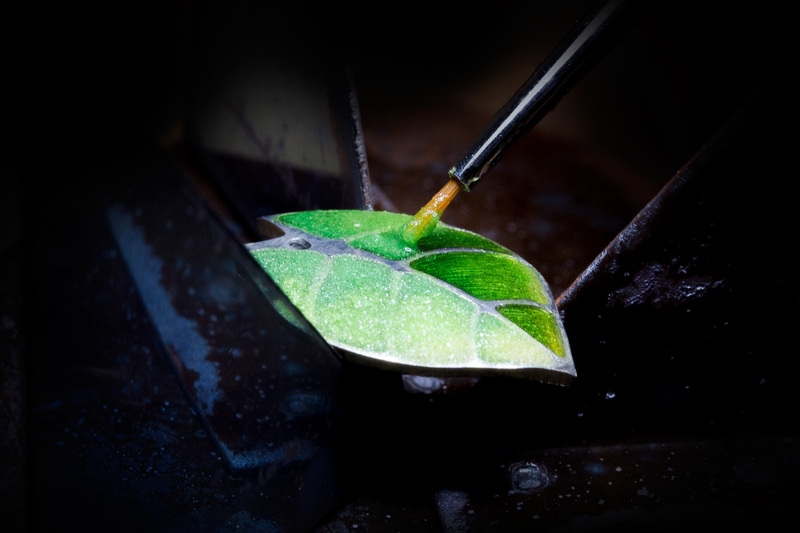 “Some watches tell time, some tell a story,” is Jaquet Droz’s tag line and an accurate summation of the one-of-a-kind masterpiece created to commemorate the Swiss watch manufacturer’s 280th anniversary. 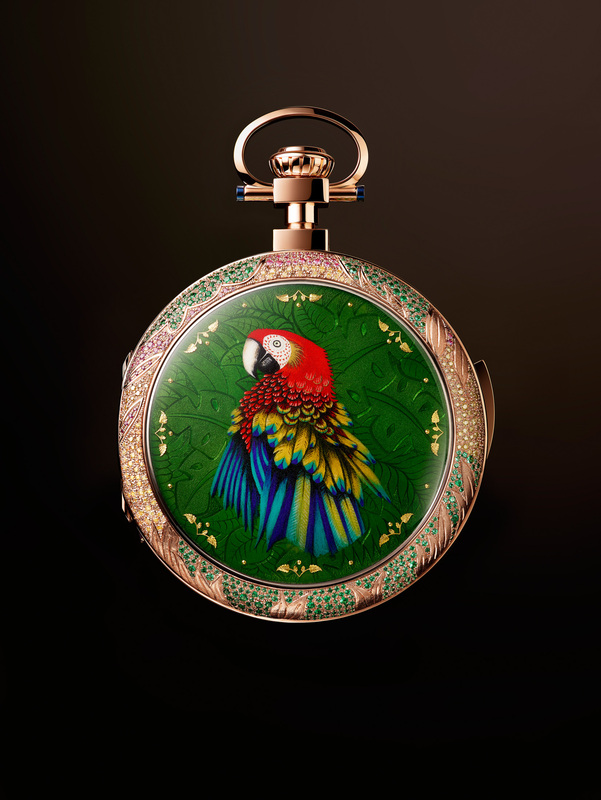 The Parrot Repeater Pocket Watch represents the scope of Jaquet Droz skill in a single timepiece. 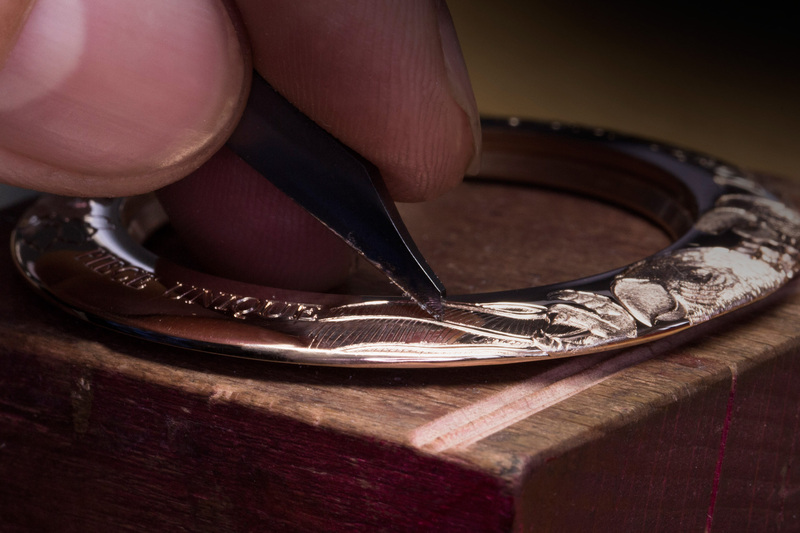 A tally of 668 components are contained in the daedal pocket watch, a minute repeater ornamented in the miniature with engraving, painting, and appliqués. 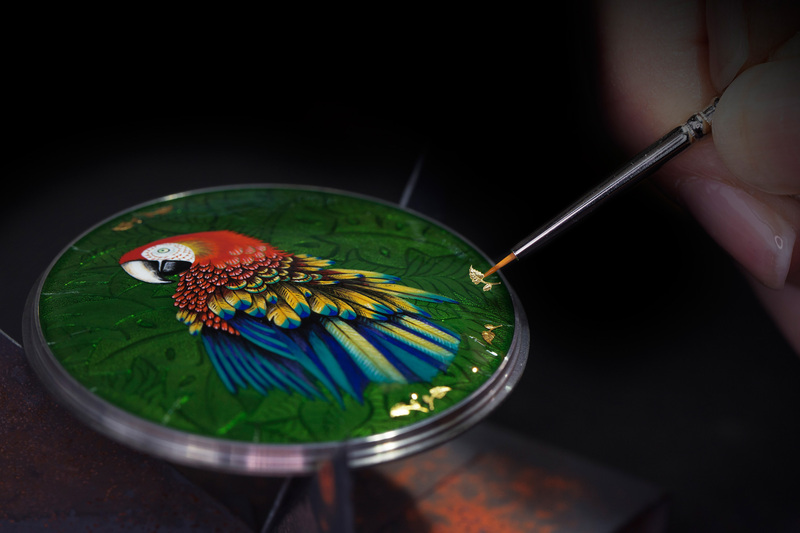 Birds are a beloved motif for Jaquet Droz, and here the macaw, chosen for its vivid plumage, takes centre stage. 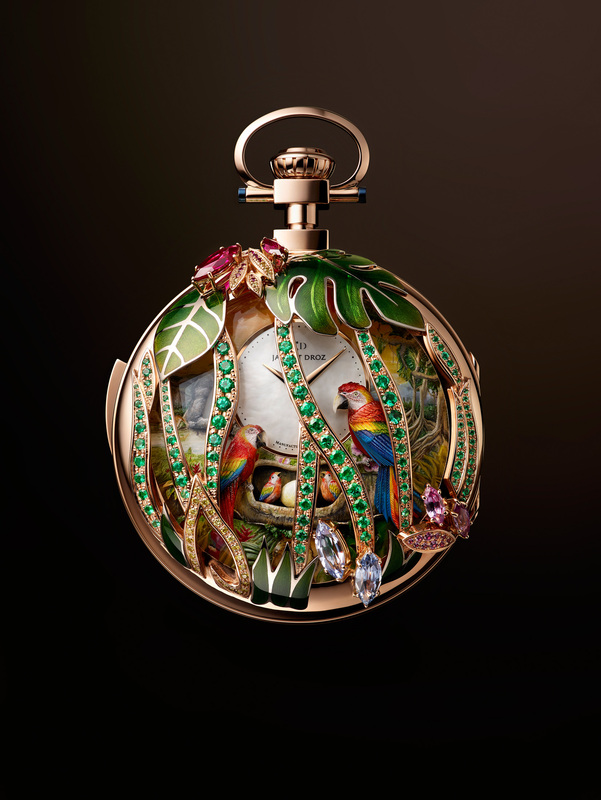 The brand’s celebrated automata—the technique of creating animated scenes through concealed mechanical devices—has a family of exotic parrots perform while cathedral-like chimes ring the hours, quarter hours, and minutes. 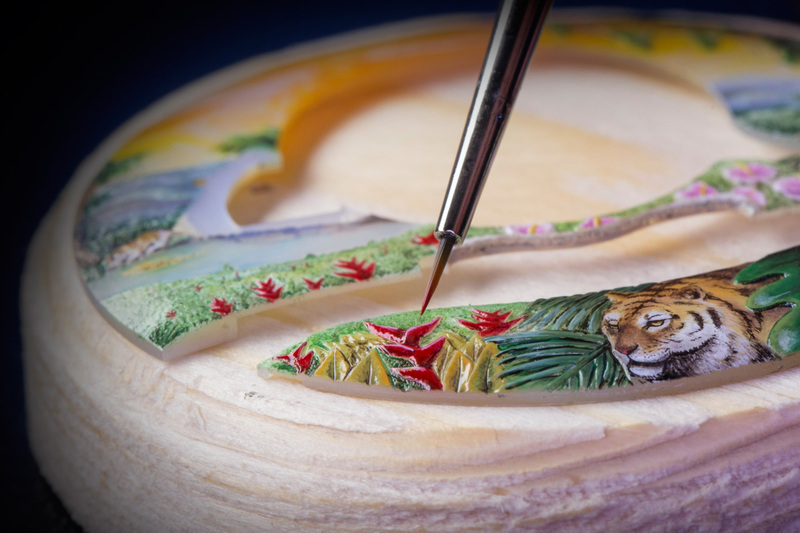 When you are the only one of your kind in the world, you command attention.